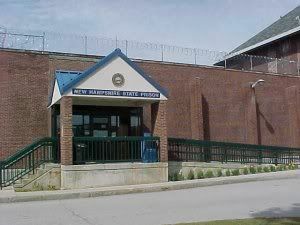 The state of New Hampshire may not only be moving toward privatizing its entire prison system, but it is also partially privatizing the process involved in making the decision. June 5 was the deadline for a private prison consulting firm to respond to a request for proposal for a firm that can look "over the shoulder" (in the RFP's words) of state officials from two departments as they sift through as many as 20 binders of documents and some 900 drawings submitted by four vendors who are seeking to operate the state's prison system. That weeding-out process should take from July 11 to Sept. 30. If a bid is approved by Gov. John Lynch and the Executive Council, New Hampshire would become the only state to turn its entire prison system over to a private company. The four potential operators- Corrections Corporation of America (CCA), Management & Training Corporation (MTC), The Geo Group Inc.. and the Hunt Companies -- earlier this year responded to RFPs to build and operate a new private prison (one for men only as well as a hybrid facility) that would handle all of the state's inmate population as well as prisoners from other states. The consultant the state's seeking now would look at the multiple proposals from each vendor and make "apples-to-apples" comparisons, according to the RFP. CCA, for instance, was looking at three sites, including Hinsdale and Lancaster, and MTC was considering a site in the Hackett Hill area of Manchester, as well as other locations, NHBR has previously reported. In addition to the site and building construction, the consultant would have to evaluate everything from offender classification, medical and psychiatric treatment, sexual offender treatment, vocational training and food service. It would also have to look at each of the vendor's plan to comply with numerous mandates required by law, regulations and six consent degrees. The consultant also would be involved in helping the state decide whether it should follow the privatization route at all. The consultant would assist the departments "in determining the business case most advantageous to the State of New Hampshire; business as usual vs. privatization proposal," says the RFP. Calls and e-mails asking he Department of Administrative Services to reveal the number and identity of the consulting firms responding to the bid, and a timeline for awarding a consulting contract, were not answered by NHBR deadline. Interestingly, it appears the Legislature -- which started the ball rolling by requiring the state to put out a privatization bid as well as a committee to study privatization - won't have much of a say in the matter, at least for now. The Senate nixed a bill to continue the study committee, which had hoped to get a peek at the bids in an attempt to oversee the process. The demise of the committee is a good thing, according to Chris Dornin, a spokesman for Citizens for Criminal Justice Reform, who said the panel wasn't listening to those making the case against privatization. "Opponents of privatization are relieved that the Senate killed legislation to continue the work of a biased group of lawmakers who had already made up their mind they wanted privatization on ideological grounds," he said. The real decision-making power these days is in the executive branch, and Dornin's group said it was setting up a meeting with the governor - who is on record as favoring a facility to import inmates into New Hampshire - to lay out their case. A coalition that includes the State Employees Association, the League of Woman Voters, the New Hampshire Association of Defense Attorneys, the New Hampshire Family of Inmates and the advisory Council to Women Prisons will be involved in the meeting, he said.